Good morning gooners! We secured the much coveted 3rd place and a Champions League spot on the last day of the season following what was very much a rollercoaster season. I could not do a proper season review because we were too busy planning the move here. But we owe it to you guys to do something similar; hence this post on a man seen as one of our top performers last season, Wojciech Szczesny. Please follow the link to the new site to read the full original post. Good morning gooners. How are you enjoying your start to the weekend? I mean…you’ll work for less hours today so if I were you, I’d make it count, get all the work done and prepare for a weekend of exciting footie. 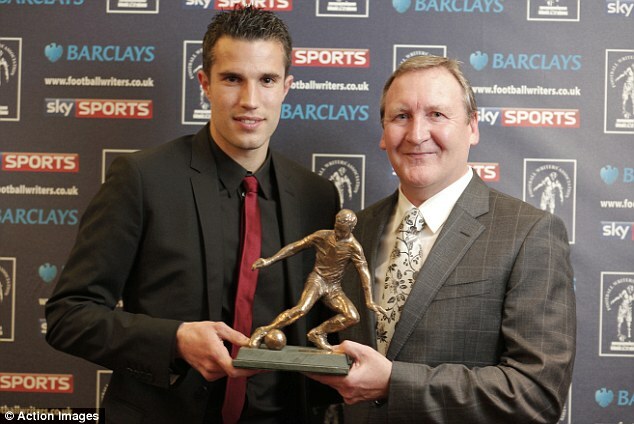 The FWA awards were held last night and RVP was in attendance to receive a deserved Player Of The Season Award. It was an enjoyable evening from what I’ve read. He gave a fine speech about how proud he is to be captain of Arsenal and he also complemented his team mates (Song and Theo especially) for the assists and support they have given him this season. He mentioned the volley against Everton as his favourite goal of the season before apologizing to an Everton fan (who groaned) in the room. Top man! One part of his speech however caught my attention and raised my fears of him leaving this summer. Okay, maybe it’s my paranoid alter ego taking over, but I just have this sneaky feeling about the portion I put in bold. It just feels like Henry 2007 all over again, reminding us of how much he loves the club, yet proceeding to break our hearts. Hopefully it’s not the case, I pray to God I’m wrong. That being said, if he does leave, we’ll do the same thing we did when PV4, Thierry Henry and Cesc left the club, move on. On a lighter note, Arsenal announced on the official website the team will be visiting Nigeria this summer. That’s probably the best news I’ve got all month. Excited does not even begin to describe how I feel at the moment. The second team will arrive in Abuja in July and play 2 games. The first team arrives in August and also play one game in Abuja, then an open training session and other off-field events in Uyo. Other events will hold in Lagos, Port Harcourt, Minna and Akure. You can bet the atmosphere will be incredible throughout the team’s stay in Nigeria. Believe me when I say Nigerians can’t wait. I was saying I wouldn’t go home this holiday because I’ve got some business to attend to, but with my first love going to Nigeria? There’s only one place I’ll be come August. That’s yer lot for today guys. It’s a very cold morning in Accra, Lord knows what would have become of me had I not come to school with a sweater. It’s going to be a long day for me, a 7-page project documentation awaits me. I’d better stopped rambling then. Just before I go, there’s talk of Alex Song moving to Real Madrid in the summer. If Madrid show some interest, I don’t see him turning them down. Now, while I’ll be gutted to see his back, I wouldn’t mind receiving 15million quid for him. With Coquelin coming through the ranks, the blow of his departure will be softened. Plus we’ll most likely sign that midfield creator we’ve always wanted, so we won’t miss his assists. What do you think? Good business or not? Diaby’s Injury Jinx – The Facts. Abou Diaby’s injury jinx struck again as he suffered a thigh strain in the dying minutes of our game against Stoke. The injury is expected to rule him out for several weeks, possibly missing Euro 2012 in the process. The visit to Stoke was only his second game back from another injury. He has managed only 5 appearances for us this season, playing just over 2 hours of football. His recent injuries have been attributed to a horrendous tackle from Sunderland’s Dan Smith in May 2006. He underwent 3 surgeries to repair the injury and missed the UCL final in the process. He’s suffered over 30 injuries since then and many fans are quick to ignore the fact that he barely plays. Some don’t even want to consider the fact that we may have a injury crock on our hands. “Diaby is not injury prone”, they tell you, “He’s just unlucky”. A quick examination of his football history suggests otherwise. Abou began his playing career at Red Star Paris’ Youth Academy, and the academy coach, Marco Lienel described him as “fairly quiet and quite frail“. “Frail” in my dictionary means “weak and delicate.”. Diaby signed his first professional contract with Auxerre in 2004; a 3-year deal but he only lasted 2. He moved to Arsenal in 2006. Jacques Santini, Auxerre Manager at the time felt the sale of Diaby to Arsenal was justified. He thought it was a strategic sale. Diaby has managed just over 150 appearances since he joined 6 years ago. This looks like a decent figure until you consider the fact that he joined at the same as Walcott and Adebayor. Walcott who joined as a 17-year old and did not play at all in 2006 has almost 220 appearances. Even Adebayor played 104 games as an Arsenal player in half the time Diaby has been at the club. 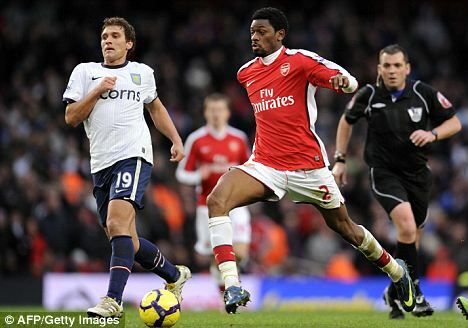 Now there is no doubt Diaby is an absolute beast of a player, he holds the ball very well, dribbles well, shoots well. Heck, he was tipped to be our Vieira, but of what use is a player like Messi if he does not play? Some may be quick to point to RVP as a reason why we should stick to Diaby, but it should be noted that RVP did not have any major injury problems prior to his Arsenal career. Even when he played the occassional game, his impact was felt. 73 goals in 197 appearances a testament to this. A return of a goal every 2.6 games is more than decent for a supporting striker. Rosicky had a mysterious injury that kept him out for so long. The moment that was cleared up, he started rehab and we have him back. Diaby’s future may not be at Arsenal. He may have had a couple of very good games for us, but those have been far too infrequent. He has not been able to achieve consistency because he finds himself continuously trying to build up to match fitness and also match sharpness. Personally, Abou is a player I hope Arsene gambles with and sticks by. His contract runs out in 2014 and I would simply wait until then to make a decision. But we cannot continue to pay a player good wages to sit on the treatment table for so long. If he cannot stay fit then there is a very justified argument that He should be replaced by someone who can play more than 5 games on the trot without such a history of injury. If Diaby somehow turns it over and becomes an important player for us, I’ll be the first one to admit my mistake, eat the humble pie and support him. The current injury rules him out for the season, it may be until next season before that happens…if Arsene does not ship him out this summer that is. Any thoughts? Share them below. Lessons for Arsenal from Bayern Munich’s exploits. That’s the Bayern Munich side that defeated a free-spending, star-studded Real Madrid team to secure a place in a Champions League final. A closer look at this team and you discover that 7 of those players came through the ranks in Bayern Munich. Four were quality (not necessarily expensive) signings, to give them that cutting edge. You already know where I am going with this, don’t you? Earlier in the millenium, Wenger was in charge of a team that boasted world class quality in almost every department. All of them were playing well and more importantly, playing well as a team. His blueprint for winning was pretty much what people were used to, a top quality team of experienced internationals added to pre-season with a couple of experienced players (in this case French or African). He would occasionally add a high potential youngster to the mix. (See Cesc, Wilshere, Anelka). They won trophies, in style too. But when the time came, the team had to be dismantled, some may argue it was done too quickly. A move to a bigger stadium was on the horizon and funds were tight, there was a need to balance the books. The club had to change its strategy. While I think Wenger had already started this before talks of a move to the Emirates cropped up, he planned on doing it on a much larger scale. He struck gold with the likes of Toure, Viera and Henry and that must have spurred him on. We went through 2003/04 unbeaten in the league. The difference between then and what we have now is that the team then was quite strong, strong enough to allow young players get some experience. However, fast forward three years to 2007 and only Gilberto, Toure and Lehmann managed to survive the chop. First, the Emirates stadium, despite already reaping rewards financially, seems cursed cursed to never house a trophy. Costing close to £400 million, it left the club in huge debt. But with much of the debt now wiped out and Arsenal in (according to the books) “financial heaven”, there is no better time to buy than now. The other factor was the loss of a certain David Dein. Yeah yeah, you must be thinking “not David Dein talk again”. But the truth is he supported Wenger throughout his best years and was never replaced (nah…Gazidis does not count). To be honest, I didn’t see how much this would affect the club at first I mean…he is just another memeber of the board. But his backroom dealings brought Arsene to Arsenal in the first place. Also, he was supposedly a major influence on the transfers of Cesc, PV4, RVP, Petit, Marc Overmars, Titi, Pires, and Campbell. Just take a look at Daniel Levy across the road at Sp*rs and Milan’s Adrian Galliani and you’ll understand my point. Now Project Youth has gone through two phases. Wenger, around 2008, deciding some of them weren’t good enough (Muamba and Aliadiere) or they deciding Arsenal’s didn’t match their ambition (Flamini). And there is the current crop of youngsters (Coquelin, Jack, Frimps, Oxlade-Chamb, Yennaris) who are not doing too badly. The only real Arsenal-bred youngsters who have grown to full fledged regulars from Arsenal’s academy are Jack Wilshere and Kieran Gibbs. Then we have the likes of Cesc, Cashley, Song and Sz13 whom we ‘took’ while they were young. This season we probably have the most players out on loan in the history of the league. Some players will not make the grades at Arsenal, and we can all see that. Project Youth should be about developing the quality (maybe few) players, not holding on to many average players. Now, we do have a relatively strong squad, a good basis for two (assuming we already have Podolski) quality signings. Wenger needs to take a look at players like Denilson, Vela, Lansbury and Bendtner. He needs to decide whether to give them one more season to come good or just cash in while there is still interest in them. Bayern Munich have shown that you do not need to spend all the money in the world (a la Real Madrid), to compete with the best. They have a similar transfer model to Arsenal, spending reasonably within their means. Wenger started this last summer by recruiting Arteta, Mert4, Yossi and Santos. We showed a lot of promise against the might and money of Manchester City, Milan and Chelsea this season. Imagine a player like Cesc hadn’t left and we have a midfield comprising Arteta, a player like Cesc, and Song. Project Youth has not failed, completely, Sz13’s and Oxlade Chamberlain’s performances this season evidence of that. It just needs to be readjusted to fit with the reality of today, a few experienced heads (Robben, Lahm, Ribery, Gomez) to take the young guns past the finish line. Wilshere can be our Kroos, Ramsey our Gustavo, and Song our Schweini. We already have a better striker than Gomez so that’s settled. If Podolski joins, and Wenger sees the chance to build on what has been an eye-opening season by recruiting another (or two) experienced player(s), next season will be ours to throw away. Cliché? What we have at the moment is a vicious cycle that needs to be broken by buying those quality players to persuade RVP et al to stay. A quick look at our current youth set up shows a number of ‘next big things’; the task before Arsene is making them more Fabregas than Aliadiere. That’s as much as I can take today mates! The race for 3rd place is still hot even though we’re in the driving seat. A preview of our visit to Stoke will be posted tomorrow morning. Watch out for that. Birthday shout outs to Punkenstein, one of the three authors on this blog. It’s been an honour mate. Reach for the skies! Then there’s the talk of Pep Guardiola refusing to sign a new contract at Barcelona. What do you guys make of that? Pep at Arsenal? Hmmmmmm…. Arsenal add Malaysia to Pre-season dates; Why Nigeria may miss out. Beautiful Morning to you all from wherever you’re reading, even if its not, surely the events of yesterday will at least make for a good start to the working week. While we’re at it, someone send a bottle of wine to Dempsey(Bennett too) or better still, add the American to our shopping list for next season. With one year left on his contract he can’t command much and would be a great option off the bench or not. Well then, straight to the post. Following the apparent success of last year’s visit, the club has announced it will be back at Malaysia as part of it’s Asian tour later this year ahead of the 2012/13 season. This comes in addition to already set dates in Hong Kong against Kitchee FC on July 29 and in China against Manchster City at Beijing’s Bird Nest Stadium two days before. You’ll recall that the match at the Bird’s Nest had its publicity done in the warm-up for Sunday’s league encounter between both sides with players of both clubs spotting shirts with words printed in Mandarin for viewers watching the match in China. The Malaysian tour will kick off the club’s Asian tour, with the first-team squad to take part in an open training session in the Bukit Jalil Stadium, Kuala Lumpur on July 23 before playing a match against a Malaysia XI at the same venue from 9.45pm local time on July 24. The Asian tour is expected to be followed by a tour to Nigeria early in August with Arsenal expected to play two matches, reportedly in Port Harcourt and Lagos, before returning to Europe to prepare for the 2012/13 season. On a side note, I think the Nigerian date hasn’t received firm confirmation because the Champions League qualifying matches take place around the same time so I’m guessing the club is being cautious about confirming the date until third spot and group stage Champions League qualification has been cemented in the league. The quest for that continues on Wednesday night when we visit bottom of the table Wolverhampton Wanderers, where a win would open a five point cushion for us over Sp*rs and Newcastle United. Looks like the FA are looking into Balotelli’s reckless challenge on Song and if found guilty could be handed a 9match ban. Yes. 9 games, that’s his 3rd sending off in the league this season for the mercurial Italian. Tomas Rosicky has been named player of the month for Arsenal beating Theo(2nd) and Vermaelen (3rd). He fully deserves it, the midfield has been key to our resurgence and he’s a man reborn, driving everyone forward. Unlike Pires I hope we keep him around longer. Preview for that comes up here tomorrow morning. For now, have a pleasant day ahead. For all the talk in the media about Arsenal having already signed him, and in a sad turn of events, Cologne forward Lukaz Podolski has spoken to the German media about where he’ll “love” to play next summer. Poldi thinks it will be an opportunity to link up with German national team mate Miroslav Klose and says he has already instructed his agent on his choice. It remains to be seen whether a deal can be struck. Follow this link to read the full interview in German newspaper, Bild. There he speaks about other reasons for picking Lazio and his link to Arsenal. I’m hugely disappointed things have turned out this way. He joins a long list of players we nearly signed. Ronaldo, Ibrahimovic, Essien, Cech and most recently, Juan Mata. Let’s hope it’s just a ploy by Poldi to get Arsenal to pay him more or Koln’s way of upping the transfer fee. Do let me know your thoughts in the comments! 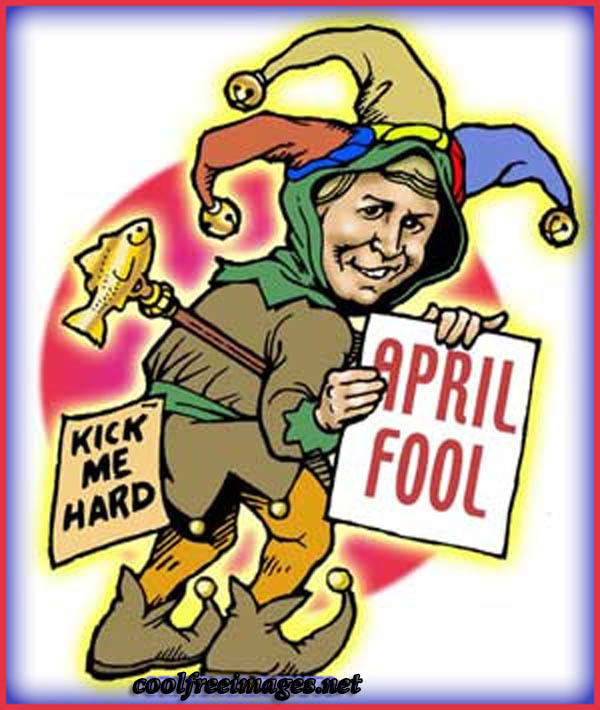 HAPPY APRIL FOOL’S DAY FROM US AT MG! I lost my previous post, an awesome one at that. Words cannot describe how pained I feel as I try to remeber everything I wrote in that amazing missive. Now I have to write another post. Here goes. A really boring week on the Arsenal front if you ask me, all talk no action. We get to see the team play tomorrow though, so that should give us a reason to look forward to the weekend. Since we are out of the UCL, the only thing one can read about Arsenal is transfer story after story. So I’ll just go through the stories that have caught my attention. Arsenal have apparently enquired about the availability of Italian midfielder, Ricardo Montolivo. Boro Primorac was in attendance in Fiorentina’s 2-2 draw with Genoa to watch the 27-year-old in action, and a deal is in the offing. He’s free, mature and is a quality player. But we said the same thing about a certain Moroccan we got for free. Let’s hope Montolivo changes my opinion on free players. The Daily Mail thinks we are preparing a move for Udinese forward Luis Muriel. He has been dubbed the Colombian Cristiano Ronaldo by some and if he is anything close to the Portuguese machine, we should snap him up. My fear is he may turn out to be more of Nani than Cristiano. Still worth a punt in my opinion. I have said this over and again, if this season has taught us anything, it is that things can change very quickly. As at the 35th minute mark against the Spuds 3 weeks ago, we were staring at a 13-point gap. Now we are 3 points ahead of the Tiny Tots. Even though we have games against Citeh and Chelski coming up, I’m more worried about our visit to Stoke. The Brittania has not been a particularly hunting ground and seeing what they did to Citeh, we need to be on guard for 90 mins. Let me not jump the gun, we ‘travel’ to QPR tomorrow and I expect us to pick up from where we left off. I don’t expect a lot of changes, maybe Wenger might be tempted to bring in Andre Santos for Gibbs. Other than that, I expect the same side that put Villa to the sword. Diaby may get a spot on the bench though. Cisse is missing for them, so that should reduce their firepower; not like he stands a chance against Koscielny or Vermaelen. Anything less than maximum points is not good enough. I bet with my Chelsea supporting friend over whose team will finish higher on the table, come May. I’ve been teasing him for 2 weeks now, all I ask is one more week of gloating. Robin has not scored in a while, we need him to start doing that soon. 5 halves without a goal is a drought for someone of his class. A 3 nil win and 2 RVP goals will mean a perfect weekend of football for me. That’s yer lot for today. Don’t be like me and have fun this Friday night. Nah, I’m not a boring guy, it’s just that I have this crucial School League game in the morning. I don’t want to pull a Balotelli on my team. I’ll be here tomorrow with a full report and player ratings. Enjoy the game wherever you watch from. Promises to be fun. Don’t forget to follow us on twitter @goonermemoirs. Tell your friends to follow us too. P.S: I saw some story on twitter about a deal for Vertonghen almost done. I don’t know what to make of it. Do let me know what you think in the comments section. Arsenal close in on £7m deal|Mass Clearout Planned. Welcome to another day everyone. I hope the past two days have been good to you. The picture above reminds me of how much I’ve missed the little Russian we once loved. I still love you very much, Andrei! Nothing sexual of course! Whew! I’m glad I cleared my mind on that. So enough with the emotional talk. Plenty Arsenal news this morning, let’s head straight into the post. It looks like we’ll be making an early move for Ajax captain, Jan Vertonghen this summer. Having seemingly sealed the deal for Poldi, it is believed we are trying to tie up a cut deal in the region of £7m for Vert, who has only one year left on his contract. Apparently, Wenger has learned from his mistakes of last summer and is looking to conclude business very early this time around. It can also be viewed as a ploy to make RVP sign on. A statement of intent, signaling to Robin that the club is serious about challenging for the title next season. Talking Robin, there’s been talk he’ll be offered 120k to make him stay. We all know he’s not about the money, and while a pay rise will surely help, the team’s chance of competing for trophies is the determining factor. A major clear out is expected this summer. It is believed some fringe players will be sold or released as the case may be to give space for quality players. Daily Mail reports that Arshavin’s loan move is likely to be turned into a permanent deal. Naturally you’d expect me to be gutted if that happened. Arsenal are also looking to make Denilson’s move to Sau Paulo permanent. The Brazilian side are however reluctant to pay him 50,000 quid weekly, something we paid him for how many years? Says a lot really. It is also believed that players like Nik Bendtner, Vela, Squillaci and Almunia will be sold, freeing the club of up to £23m in annual wages. 23m we hope will go into signing new quality players. One quality player who won’t be signing for us is Mario Gotze. News broke he signed a new deal with Dortmund yesterday, one which ties him down till 2016. I won’t say I’m disappointed because I honestly didn’t think we could sign him. I mean, he’s valued at £35m or thereabout, way out of our fishing range. So with Gotze a no-go and Podolski as good as signed. What player(s) would you love to see at the Emirates next season? In an Arsenal jersey of course!